The Law Offices of Paster, Rice & Castleman are located in Quincy, MA, at 24 Adams Street near the intersection of Hancock Street. 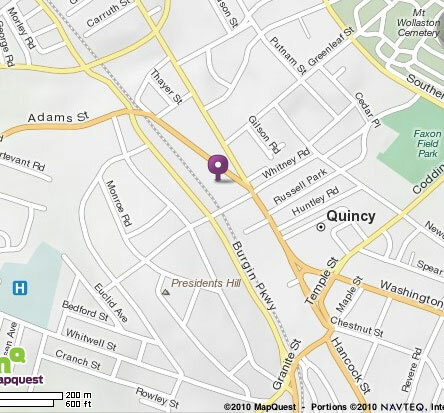 We are easily accessible from the T. Our offices are located just one block from the Quincy Center station. Exit the station on the Hancock Street side. Turn left on Hancock Street, proceed one block to the light, and bear left onto Adams Street. Our offices are in the second building on the left on Adams Street, just after the Quincy Historical Society.